Asian food is always a hit in our house. 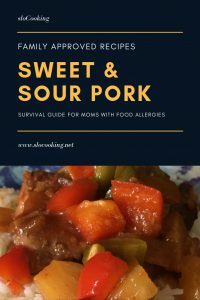 Over the years I have played around with making various dishes to mimic Chinese takeout and am happy to report I have found quite a few wonderful recipes like this sweet & sour pork with bell peppers and pineapple. Only other thing you have to do is make some white rice to serve this dish with and you are good to go. 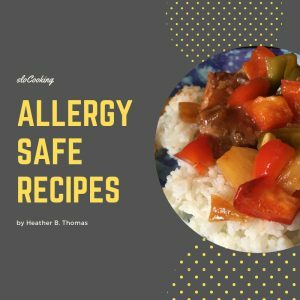 My family loves this recipe and happily they cannot tell that I recently gave it a gluten-free makeover to match my most recent food intolerance. 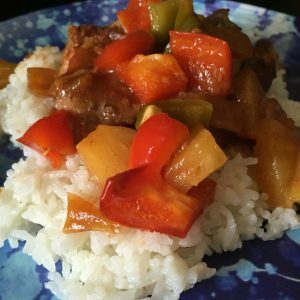 And one more happy note – this is a slow cooker recipe, so you can double this and batch cook for later in the week.